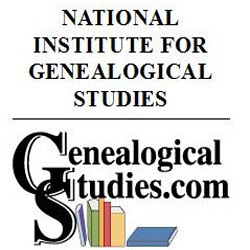 In order to understand where vital records can be found and what they can tell you about your ancestor, it’s important to understand a little history of these records. Birth records were slow to be brought into compliance within the states. Some states were very slow to adopt the statewide recording for vital records. Georgia and New Mexico were the last two states to adopt a statewide policy in 1919. However, Texas took until 1933, to meet the 90% (of records being recorded) completeness standard. The earliest birth records reflected the child’s name; that is if the child was named at the time of birth. It will include the names of the parents and the date of the child’s birth. It might also ask where the parent was born. If a baptismal record is located it will state the date of baptism in the church record, not the date of birth. 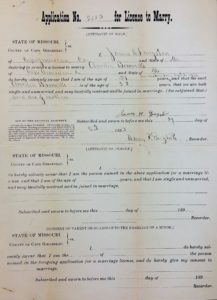 Marriage records are kept by the county in which the ceremony took place and typically by the state as well. 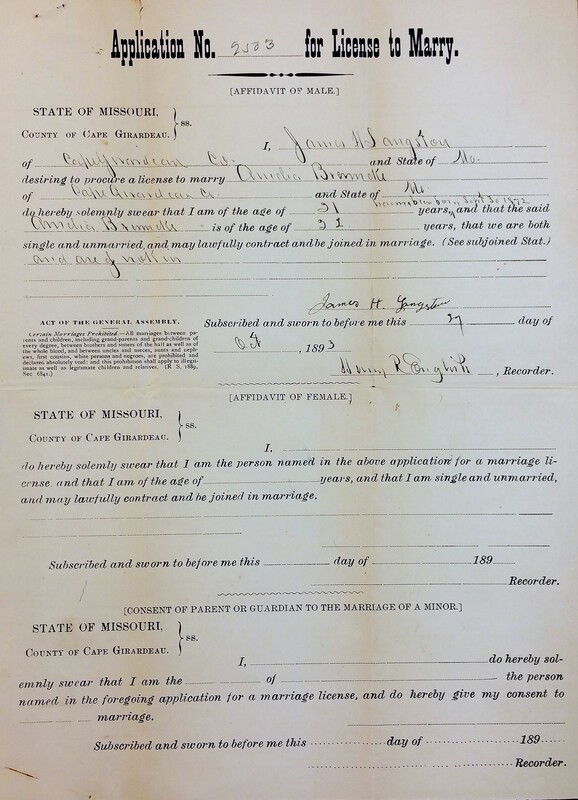 If you have a copy of a marriage license application, note the questions answered. Consult the Red Book, found on the RootsWeb Wiki for years when marriage records were kept by the county and state your ancestor lived in. Some people feel that divorce records are a vital record but they are really a court record. However, they usually do contain vital record information that would be considered reliable, but in need of documentation. When doing family history research, this record should not be ignored as it might lead you to further research opportunities. Are vital records perfect? No, realize that people can falsify records on purpose, as well as by accident. There are many reasons for having incorrect information on birth, marriage, and death records. What reasons would there be for incorrect information? A distraught spouse will respond incorrectly to a question; such as, “mother’s maiden name” either because they are guessing or just confused. The clerk wrote the information incorrectly. It’s also very important to remember spelling does NOT count before about 1910! 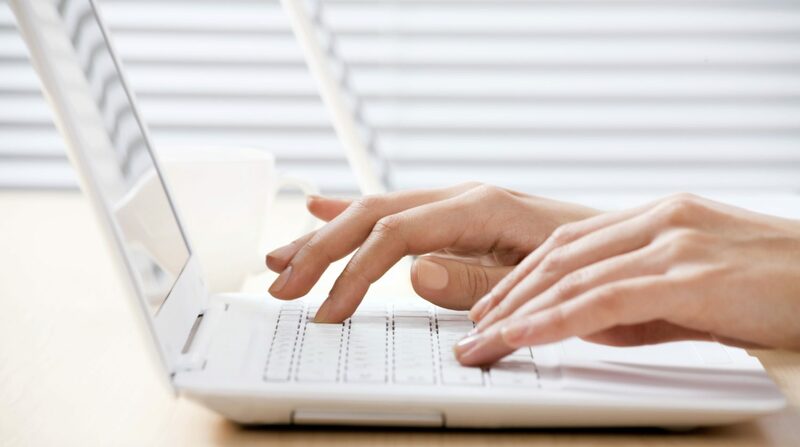 Think up every possible way one can spell a surname and use those variations when you search online databases. With our United States: Vital Records course you will learn more ways to view and access these vital records and more. Learn more about the course and register on our website.